I have three new American Guinea Hogs that need names. These are potential breeding stock so will not be heading to the freezer anytime soon, therefore non-food related names preferred. Anyone leaving a comment on the blog will be entered into a random draw to receive their choice of any bar of handmade goat milk soap in stock. And as an added bonus, anyone entering a name that is selected will also receive a bar of soap so potentially anyone commenting on the blog could win two bars of handmade goat milk soap. Since the hens are now laying (a lot) if the lucky winner(s) are local, a dozen eggs from free-range chickens can be substituted for a bar of soap. AGH #1: Gilt (unbred female) born in October 2015. She has a pink ear tag labeled SH1. AGH #2: Gilt born in December 2015. No ear tag as of yet but will be ear tagged in the near future. 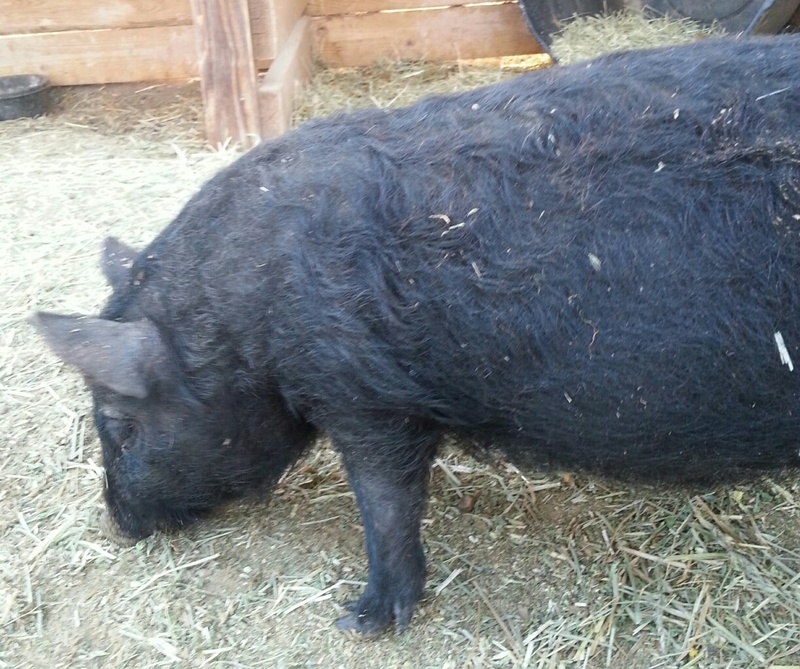 This gilt has a wavy coat with red highlights and may be carrying a gene for red. 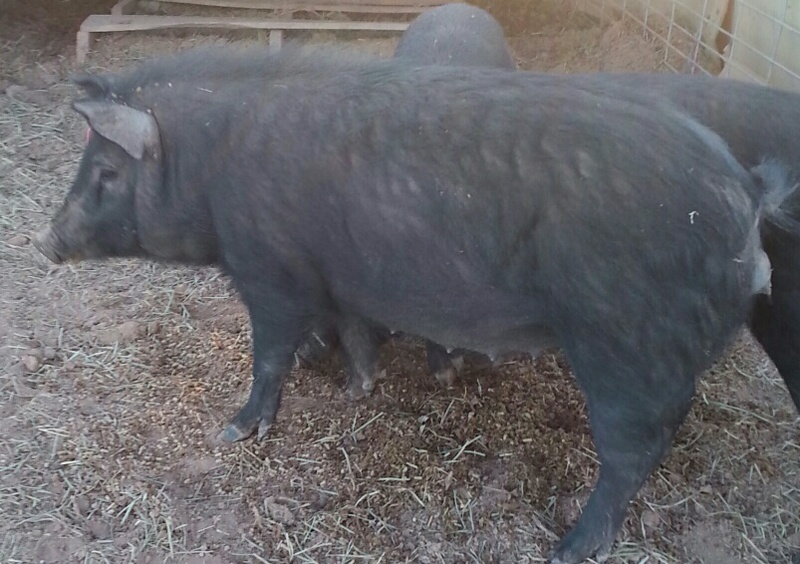 AGH #3: Boar just weaned, born early March. Again, no ear tag as of yet but will have one soon. ← April Fool or Just a Fool? Chihuahua…..then snapped, but…..Why Not? name the little one Chihuahua. Has a nice ring to it. 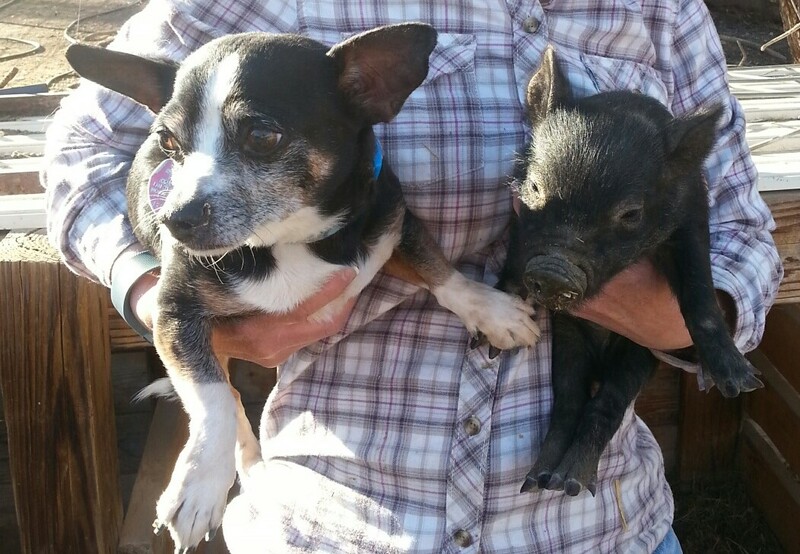 Ok – Gilt One looks like she has a Mohawk so for her: Mo or Hawk. Gilt Two: Curly or Red. Boar: Tiny, Mini, or Killer. Hoggle – for the little boar.